Like death, taxes and Kardashian news in my Facebook feed, foundation has always been one of life's unpleasant inevitabilities for me. Cursed with imperfect skin, I've never been comfortable skimping on foundation, but at the same time, the feel of heavy creams and goopy liquids on my face makes me squirm. Fortunately, in this age of brilliant beauty tech, there's no need to forgo foundation -- nor do I have to tolerate less-than-stellar products. There are, of course, BB creams, which combine the creamy texture and hydrating properties of a moisturizer with light coverage; CC creams, which even out skin tone sans mask-like pallor, and cushion compacts that provide a weightless, dewy finish. But even the most reluctant foundation-wearers sometimes require a little something more. That's where this new breed of light-as-air foundations comes in. They deftly blur imperfections and create a smooth makeup canvas while making your skin look like your skin. 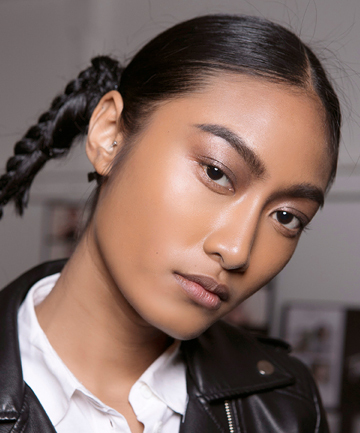 Here, the eight amazing foundations that will make a convert out of you.